Class GM have been studying the work on Matisse and producing their own versions of 3 of his most famous pictures: Icarus, View of Collioure and The Eygptian Curtain. Watch the video below to see a gallery of the children's work. 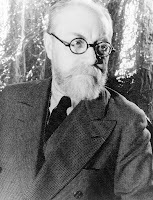 Henri Matisse (December 31, 1869 – November 3, 1954) was a French artist, known for his use of colour and his fluid, brilliant and original draughtsmanship. 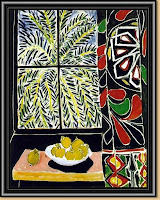 As a draughtsman, printmaker, and sculptor, but principally as a painter, Matisse is one of the best-known artists of the twentieth century. 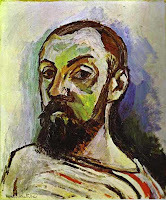 Although he was initially labeled as a Fauve (wild beast), by the 1920s, he was increasingly hailed as an upholder of the classical tradition in French painting. His mastery of the expressive language of colour and drawing, displayed in a body of work spanning over a half-century, won him recognition as a leading figure in modern art.